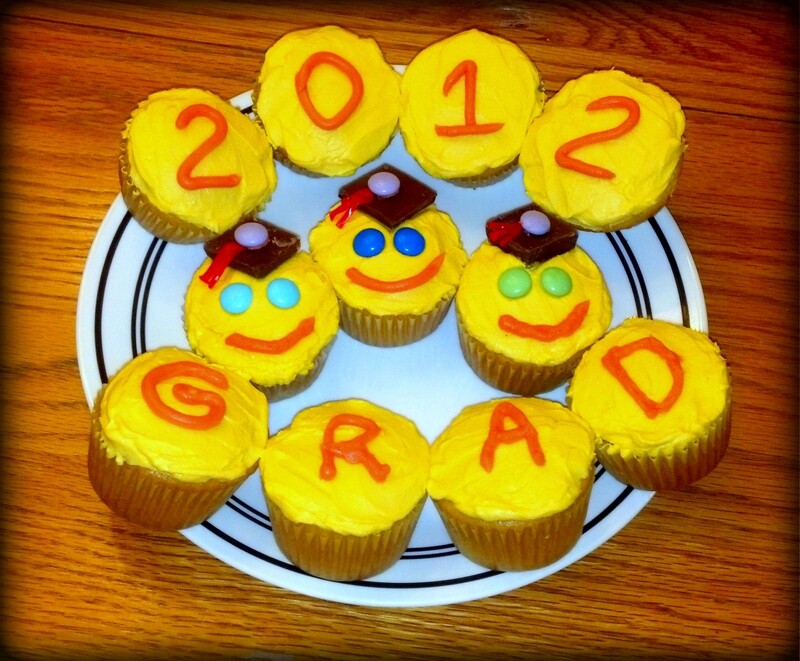 Kylyssa is an artist who works in a wide variety of media that has included fondant since 2008. She enjoys creating and sharing sweet tips. Skulls used to be considered scary but now, they're a popular preteen fashion accessory. Cute skulls are found in jewelry with little pink bows or fairy wings. They can be found on socks and hoodies in girlie pink or purple, sporting bows or accompanied by hearts. This cake is the perfect blend of cool and cute. It's just a little bit goth but it's still a whole lot girlie-girl. While it would be great for a teen or preteen birthday party it would also make a neat cake to celebrate the day of the dead or even Halloween. I've created step-by-step directions so you can create a cute skull cake for whatever occasion. Image Credit: All photos and drawings by Kylyssa Shay unless otherwise noted. 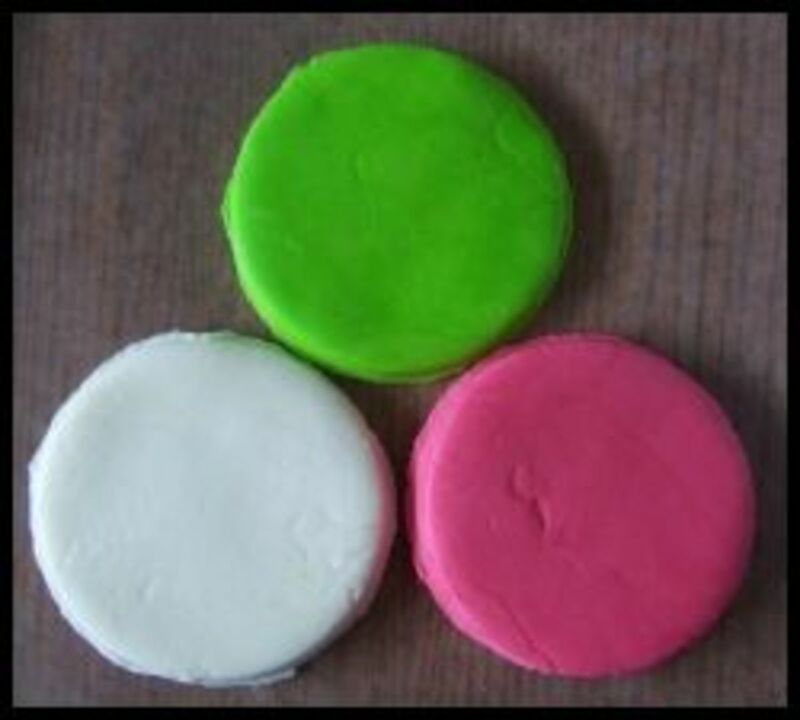 Fondant in black, white, pink, and lime green. A cake, your choice of flavor. Frosting, your choice of flavor, enough to cover the cake. A craft knife such as an X-Acto knife or similar. Non-stick cooking spray, preferably unflavored. A rolling pin, preferably a non-wood type. 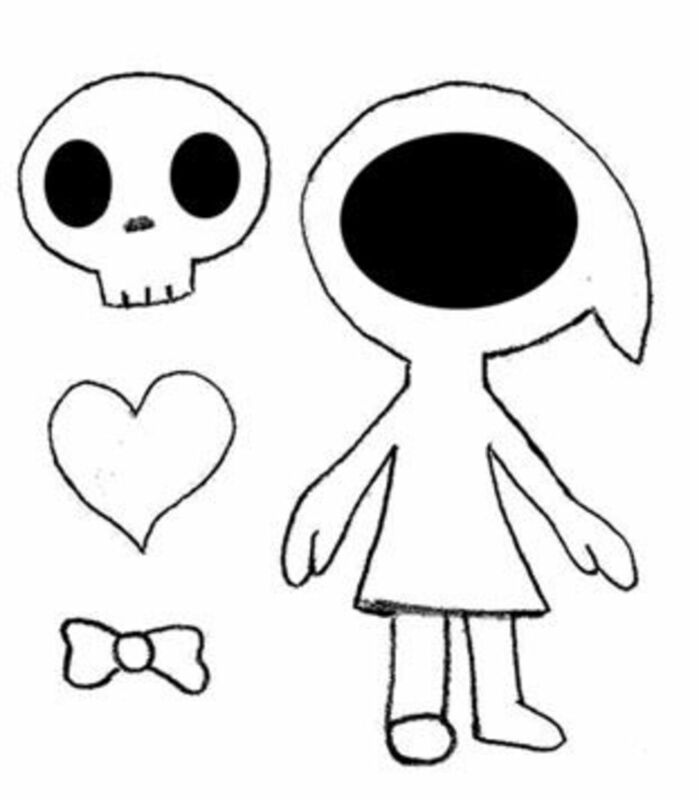 A paper skull cutie template. 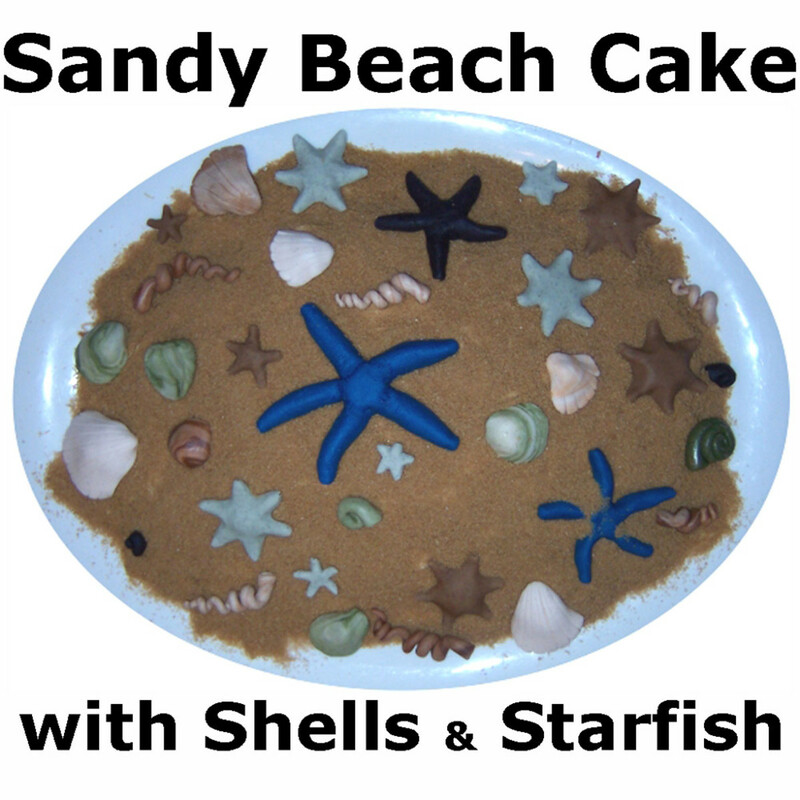 You can use commercial fondant to make this cake or you can make your own. 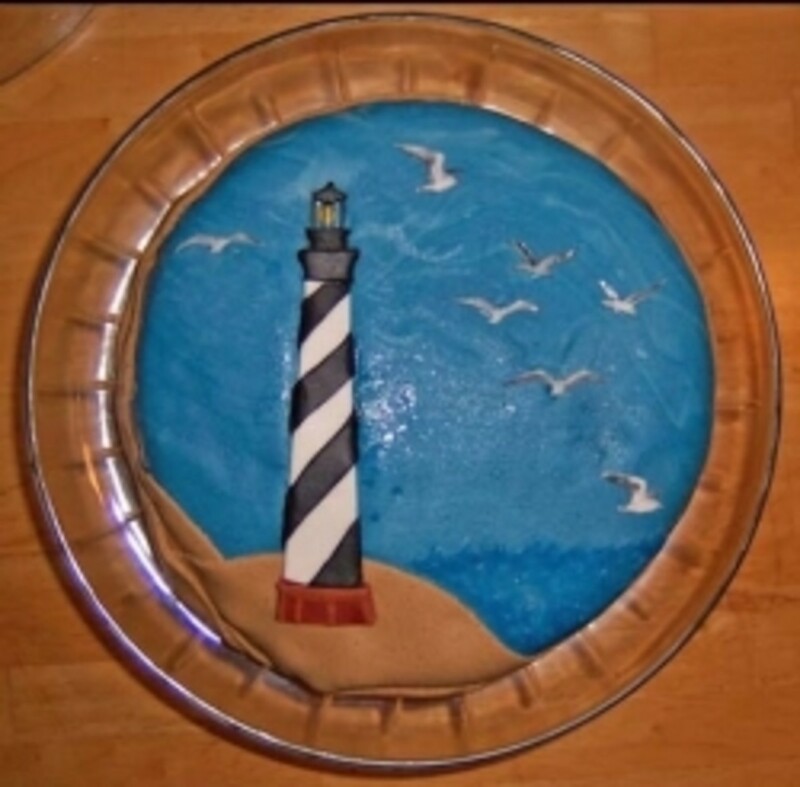 You can find my favorite recipe for fondant at How To Make Decorating Fondant for Cakes including variations such as chocolate fondant and colored fondant. I think neon fondant makes this design fun and playful. 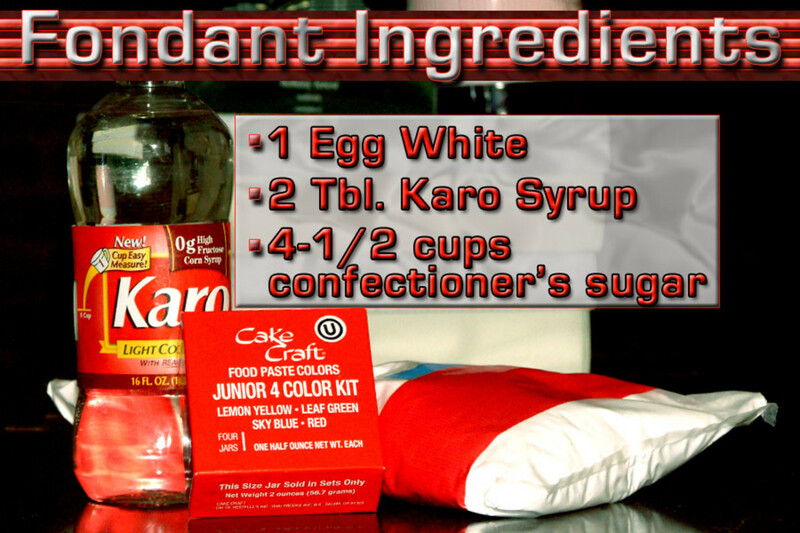 Pre-made fondant can make the process quicker and some people claim it's smoother and easier to work with. I don't much care for the taste of it but if you only use it for small decorations it should not detract from the overall taste of the dessert. Print out this image in whatever size you desire to use as a template for the fondant cut outs. 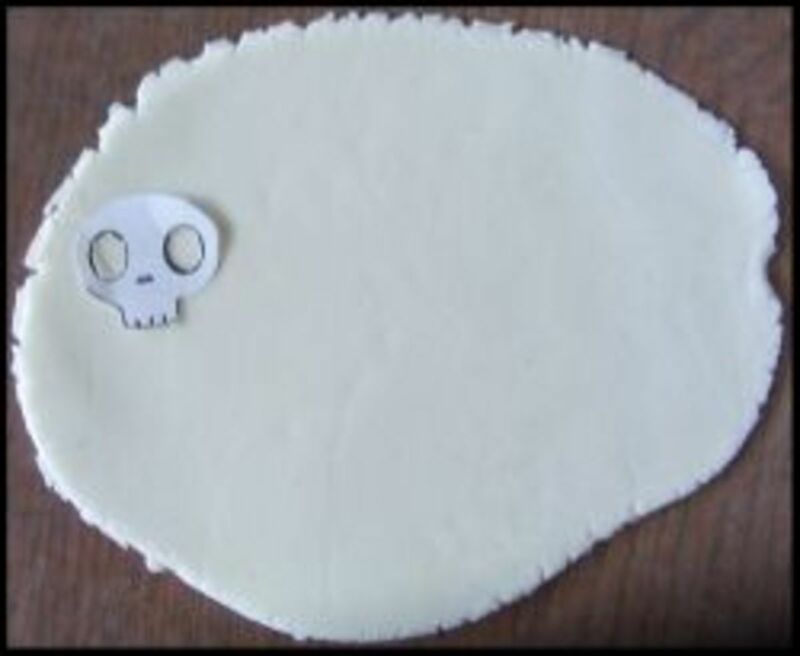 Roll out the white fondant and cut out nine skulls with a craft knife using the paper template as a guide. To prevent sticking and to make the knife slide more easily through the fondant, spray the blade with non-stick cooking spray and wipe it gently on a paper towel between cut outs. Allow the skulls to set up or dry just a bit undisturbed. They'll be a lot easier to handle afterward. Use a well-greased metal spatula to gently transfer the fondant decorations to a piece of wax paper and set them aside until ready to use. 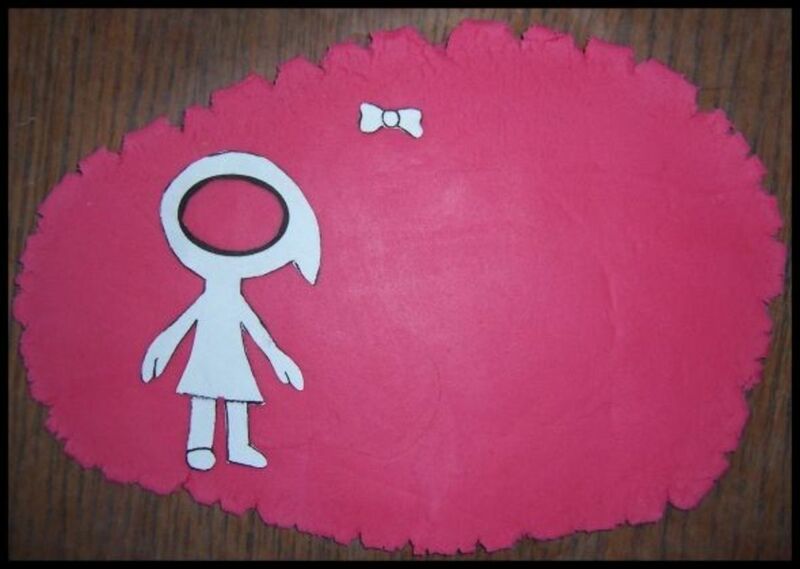 Roll out the hot pink fondant and cut out three bows and three hoodie girls with a craft knife using the paper template. Set them aside on wax paper until ready to use. 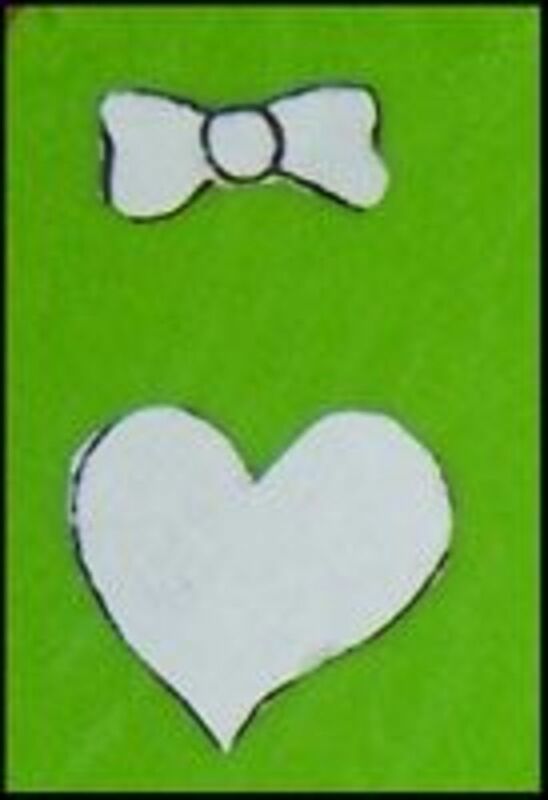 Roll out the lime green fondant and cut out four hearts and six bows with a craft knife using the paper template. 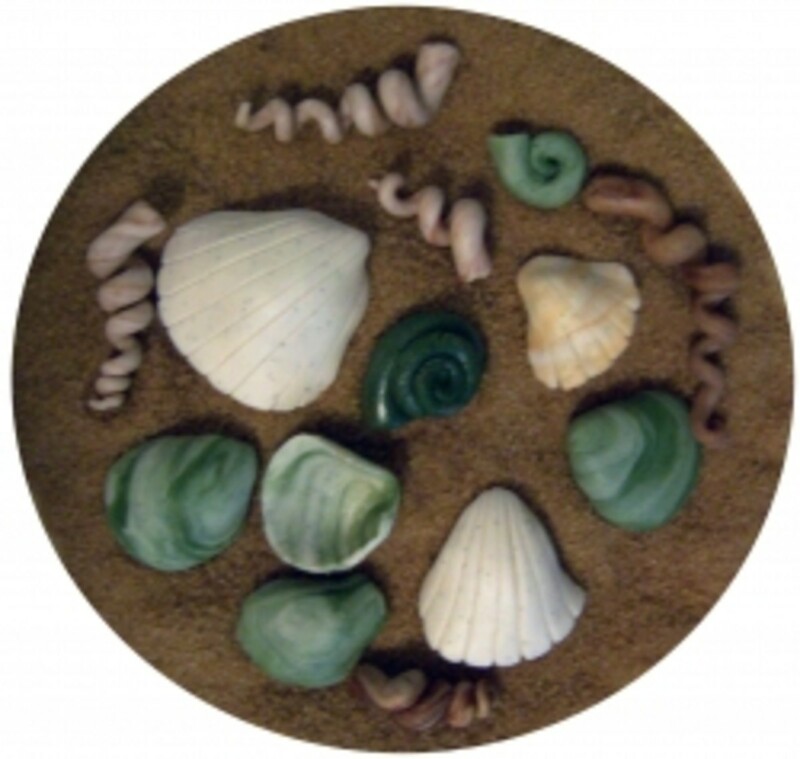 Set these aside on wax paper until ready to use. 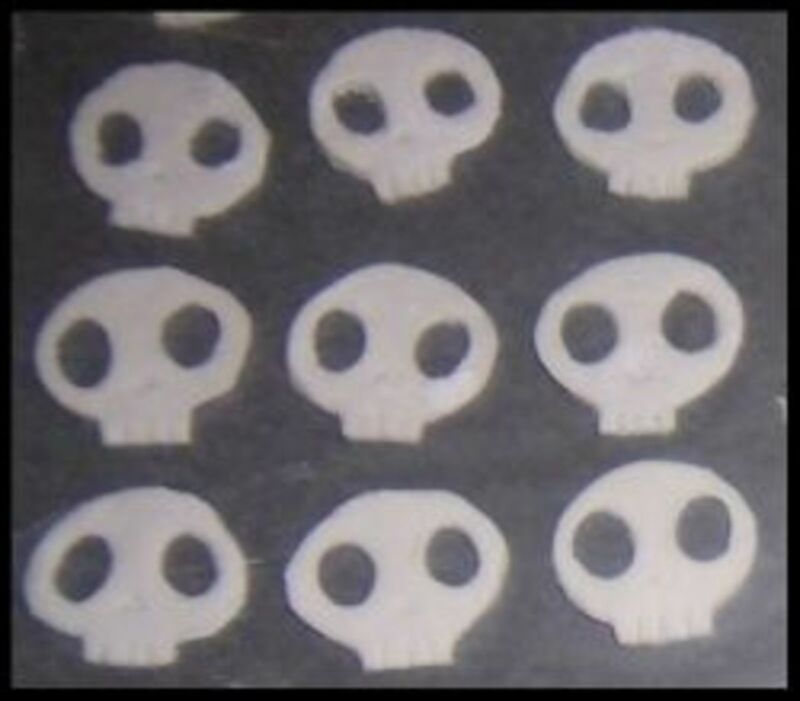 The bows glue right onto the fondant skulls with a drop of water. 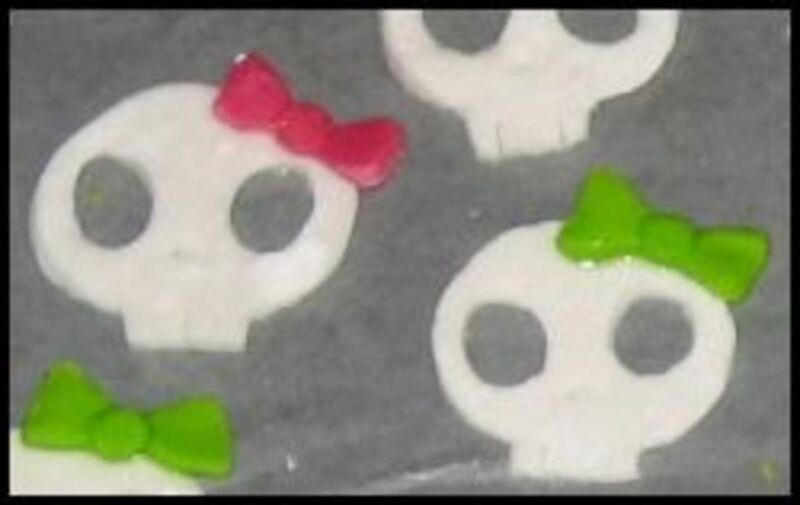 Attach the bows to the fondant skulls using a drop of water. 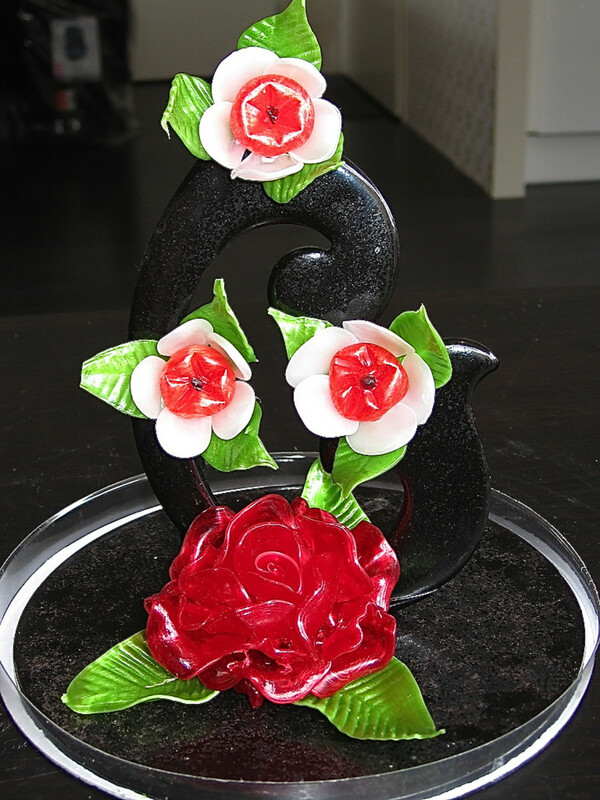 It will dissolve a small amount of the sugar and weld the decoration on as it dries. Moisten the "face" of a hoodie cut out with water then gently lay a skull with a green bow on top as pictured. The water will glue it together. Allow all of the pieces to dry for an hour or so for easier handling. Put the cake on whatever serving dish or carrying container you will be using. To keep it from moving around, put a dab of frosting on the plate before setting it in place. Frost the cake with a thin layer of frosting (traditional butter-cream, ganache, etc.) on top and sides. Roll out the chocolate fondant and cover the cake, gently smoothing it down with your hands or a plastic fondant smoother. Use a knife or pizza cutter to remove any excess fondant. Use a damp towel to wipe any smudges of frosting from the plate. Don't worry too much if the bottom edges of the fondant aren't perfect; you are going to surround your creation with chocolate chips and you can hide a lot of less-than-perfect edges that way. A fondant smoother is a good investment if you plan to cover a lot of cakes with rolled fondant because, believe me, smoothing it with your hands can drive a person bonkers trying to get it smooth and even looking. The finished product with skulls wearing bows and cute pink hoody dresses. Lightly moisten the bottom of each cutout with water before applying it to the cake. 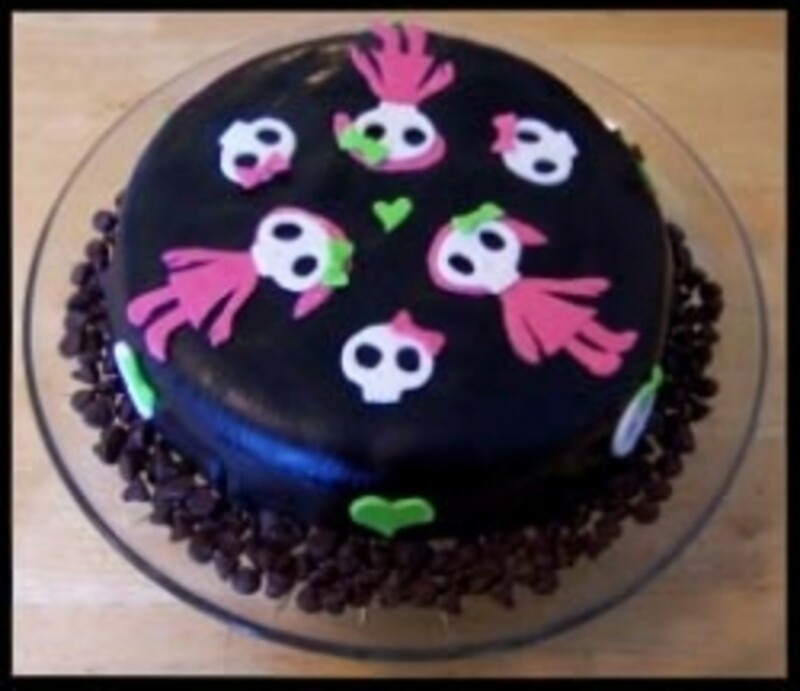 Put one green fondant heart in the center of the top of the cake and lay three skull hoodie girls on the top of the cake as shown. 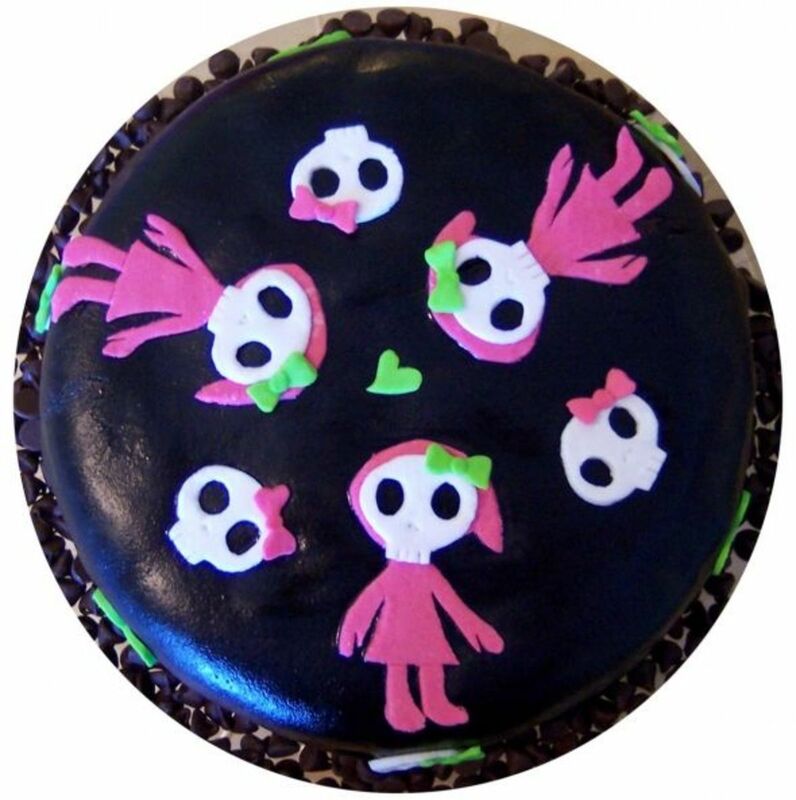 Then put three skulls with pink bows evenly spaced on the top of the cake between the hoodie girls. 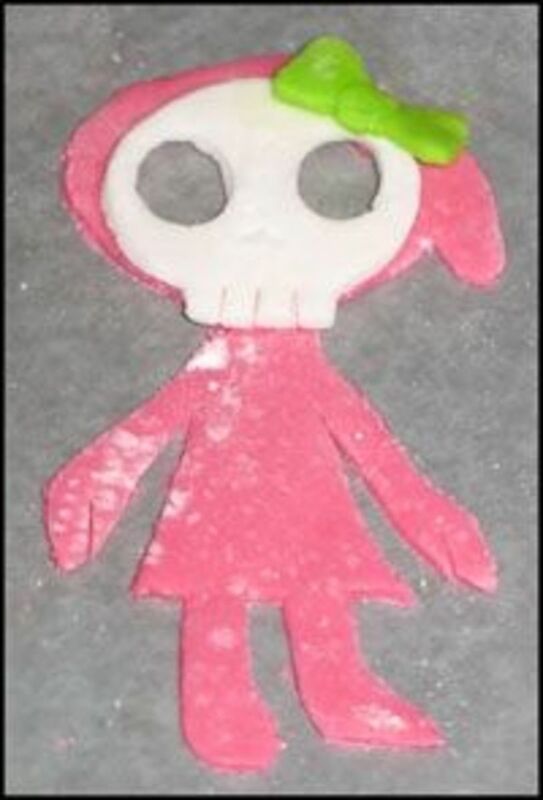 Press the remaining three skulls into the sides of the cake, lined up under the fondant hoodie girls. Add the remaining three green hearts to the sides of the cake, evenly spaced between the fondant skulls. To finish off the plating, pour semi-sweet chocolate chips around the cake on the plate. What's in Your Skull? - Would You Like a Cute Skull Cake? I must show this page to my Girls. They like baking and I think the skulls will appeal to them! What a cute cake idea. I love it. 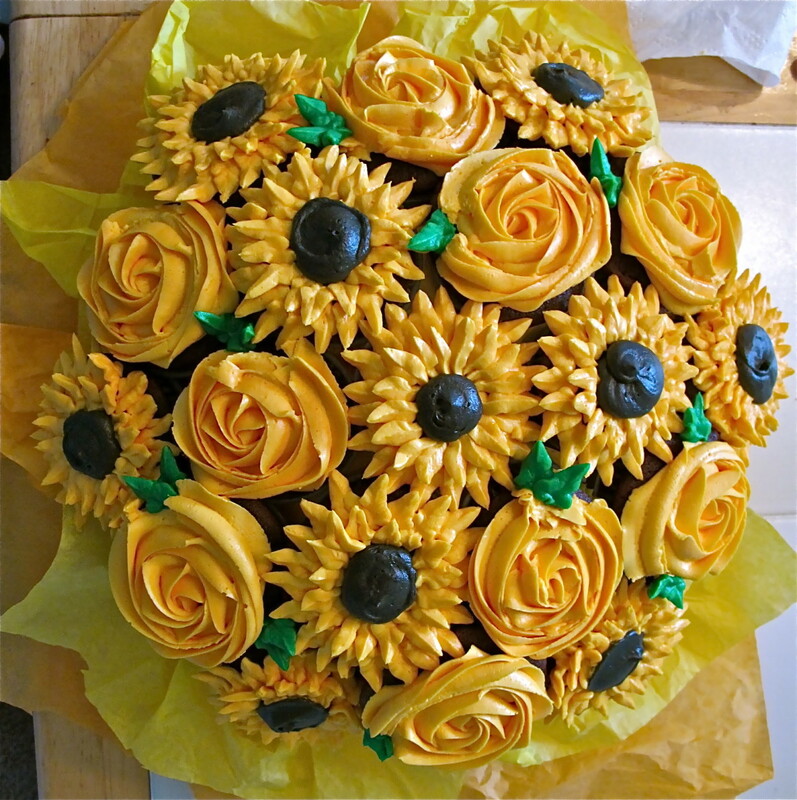 What a fabulous cake! Perfect for a home with little ones on Halloween. 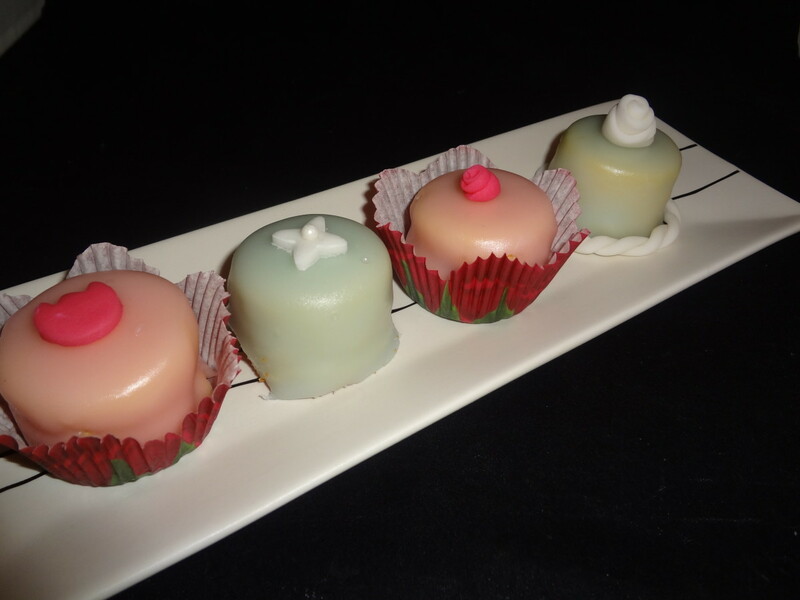 I have always wanted to try making a fondant cake and you make them look so easy.